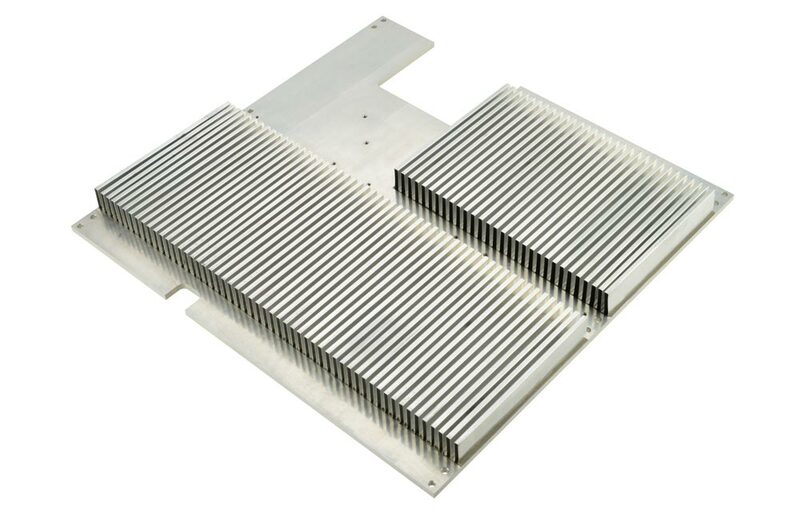 Folded fin heat sinks can have much thinner fins than extruded heat sinks or even bonded fin units. This makes them lightweight and provides good airflow at low cost. Aluminum and copper are the most common materials used for folded fins. Fins are made by machine folding a continuous strip of sheet metal up to 24 inches (610mm) wide into a zigzag shape. 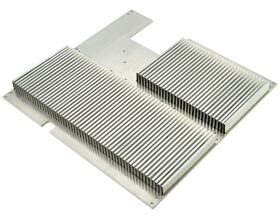 Fin material thickness can range from .002" to .080" (.05mm to 2.00mm) with from 2 to 86 fins per inch (1 to 33 fins per cm). Height can be up to 4" (102mm). 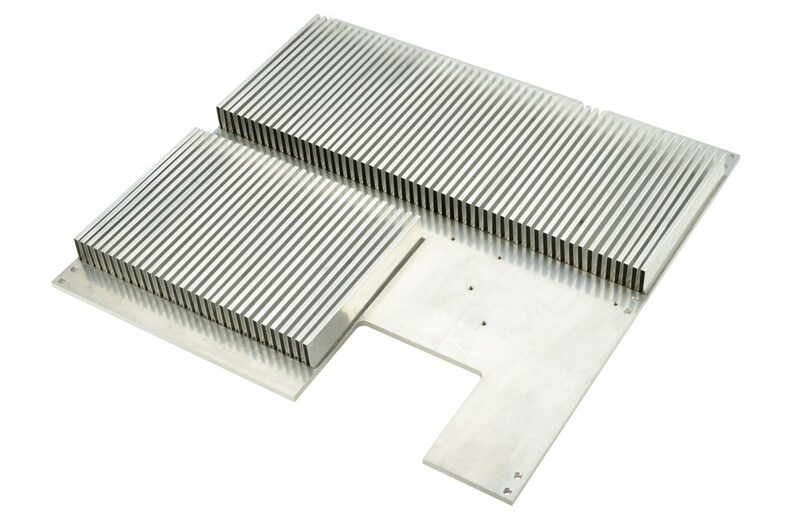 Width of the fin block limited only by the length of the strip of metal used to make it. These dimensional limits are for plain straight fins. Folded fins can be made with a wave pattern along the length or with more complex shapes to increase turbulence in the airflow and improve thermal performance. Epoxy is normally used for assembly. For more on available finishes, click here.